Bad Taigen gearbox or just a bad track? They sell two types of metal boxes. Steel geared ones which aren't too bad for the money. But they also sell boxes with silvery gears that are made out of a soft alloy that really isn't that good for the purpose. Son of a gun-ner wrote: They sell two types of metal boxes. Steel geared ones which aren't too bad for the money. But they also sell boxes with silvery gears that are made out of a soft alloy that really isn't that good for the purpose. Thank you. Edit: Would it be possible to replace the shims/ bushings/ washers with these ones: https://heng-long-panzer.de/en/spare-br ... gears.html ( I do not know the proper English name). Because the shims/bushings at the drive shafts on my Taigen gearbox have been worn out and that causes the wobbling. See also my next post. Last edited by seb4 on Tue Feb 12, 2019 5:58 am, edited 1 time in total. This is my Taigen gearbox. 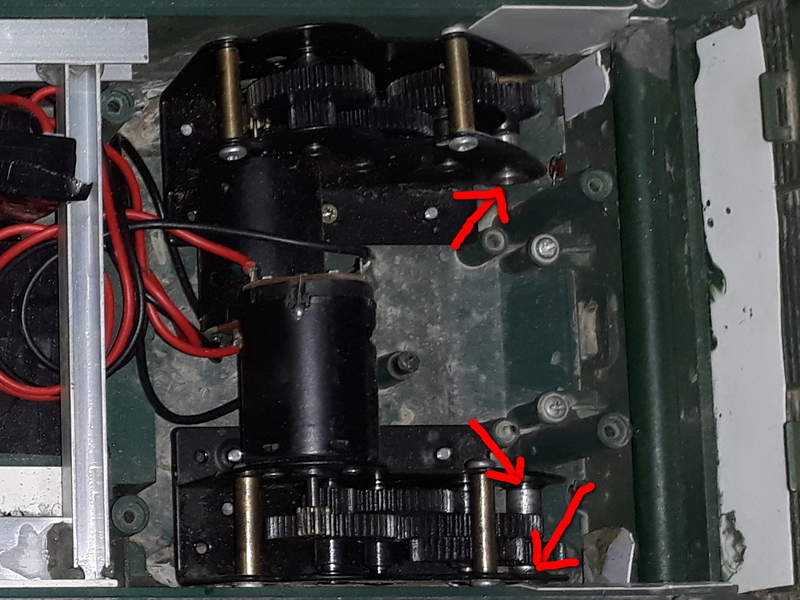 The red marked flanged tubes/ shims (I do not know the correct English name), on which the drive shafts are mounted have both horizontal and vertical play. And that makes the drive shafts wobbling. These flanged tubes have ball bearings. These look like the bushes/bearings for the other gear shafts, the ones between the motor and the final drive. Sadly brass isn't good enough as bush/bearing material, should be bronze, especially phosphor bronze. However, those in the link look the same material as what comes in heng long and taigen gear boxes. These are the boxes with the gears made from soft alloy, probably the worst of the three types. The boxes you have are the better of the cheap range of boxes. Well, they should be. Because they have steel gears, and ball race bearings on the final drive. Sadly, without your boxes in my hands, I won't be able to determine why you have that wobble. Is the shaft too small in the inner race of the bearing? Is the bearing too loose in the hole in the casing? Or is the bearing too loose with the balls in their grooves? Or is it a combination of these factors? Or, is it something else that's to do with the design of these boxes I haven't considered because I can't see them up close. Or, lastly, is it an acceptable amount of movement that looks worse than it is and just needs the larger bearings on the hull? If the gears are binding, one trick is to get some valve grinding compound. Put a thin smear of it around the sticking gears and run the gearbox out of the tank. Only do this for around 60 seconds. Then test it again. Wash the compound off the gears with something like WD40 before you install them permanently. The compound will remove high spots on the gears and accelerates the bedding in, thus the gears will mesh smoothly. 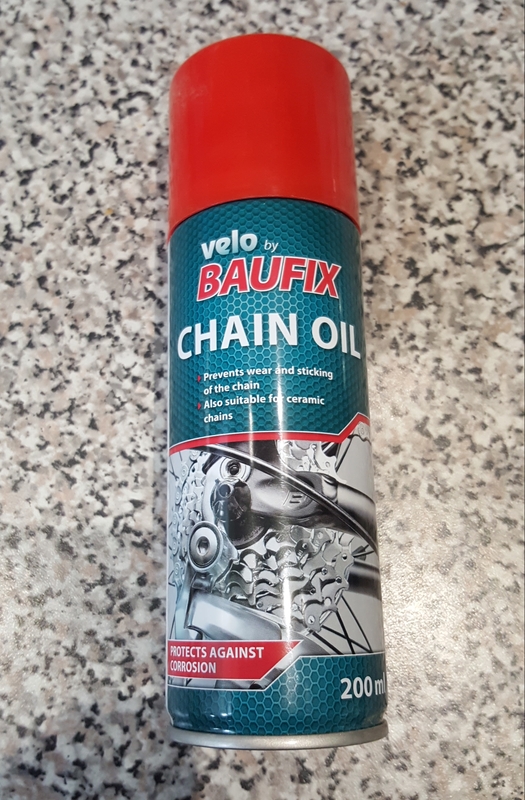 One of the best gearbox lubricants is motorcycle chain spray. It has a solvent in it, so you spray it all over the gears and it soaks into every recess and bearing, then the solvent evaporates off leaving the grease in place. It is designed to stick to a chain at colossal speeds without flying off, so your gears will stay lubricated without coating the inside of the tank with grease. When using that valve grinding paste, you really have to be careful it doesn't get near any bearings or the motor. I have those pastes, but wouldn't use them on these gears. Instead I would remove the motor, and run the gear box using a drill, either dry, or with a light oil, especially with oil in the bushes either way. Sorry Rob, but use of that grinding paste on these gears horrifies me. I've tried several options. Tamiya's grease in the wee blue tubes works very well, especially on bearings. It's worth noting that has no adverse effects on neighbouring Styrene or ABS parts. The same can't be said for some lubricants and it's well worth checking compatibility.. It's worked for me in the past, as long as it is only applied to the gears and run at a low speed, it doesn't go anywhere other than the gear teeth. They only need a thin smear of paste. It works on the white metal HL gearboxes a treat, as they are rough cast, and quietens them down. Filling the recess in the back of the gears with bathroom silicon reduces that rattling sound as well. I've never had a problem with bedding in tight gears that way, and have had gearboxes in tanks for years with no ill effects at all. 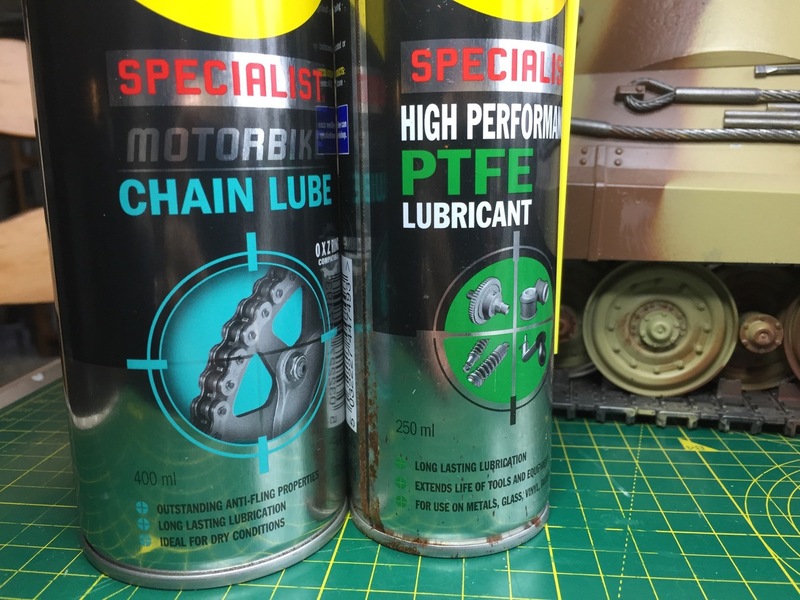 When I first started using Metal gearboxes the recommendation was before putting the gearboxes under load the gears should be given a light coating of "Toothpaste" and spun over on the bench then cleaned off and fitted into the tank and lightly lubricated. It has to be remembered that Toothpastes have become markedly more abrasive than they used to be so a "Fine Lapping Compound" might be a better bet but it absolutely must be cleaned off after use and I would avoid getting any abrasives on Bearings/Bushes. Yeah, one would have to be very careful with the paste, and how it was washed off. Nae worries, Mick, if the bearings are already greased up with Tamiya, or similar, model bearing grease they prevent the ingress of unwelcome abrasives. PTFE for the gears, and shafts completes the lubing. My own inclination is to let gears bed-in naturally, through wear and tear, unless they're really burred. At the price some of us pay, they shouldn't be! Last edited by 43rdRecceReg on Tue Feb 12, 2019 3:55 pm, edited 1 time in total. 43rdRecceReg wrote: I've tried several options. Tamiya's grease in the wee blue tubes works very well, especially on bearings. It's worth noting that has no adverse effects on neighbouring Styrene or ABS parts. The same can't be said for some lubricants and it's well worth checking compatibility.. It is a white lithium grease, recommended by another forum member. To avoid adverse effects on styrene parts I did apply it with a new soft brush. it is water resistant and resistant against high temperatures. I am thinking to apply some normal WD40 oil on the drive shafts bearings with a clean brush. What do you think? Son of a gun-ner wrote: These look like the bushes/bearings for the other gear shafts, the ones between the motor and the final drive. The bearing is too lose in casing hole, and I think that is due to the excessive wear during that swamp adventure. But the tank is driving ok, so the larger bearings on the hull are an option. However I am a bit hesitant to do that since I read on another thread that it is not easy to properly fix it, at least not on a Leopard 2a6. What are your experiences with fitting the axles supports if I may ask? 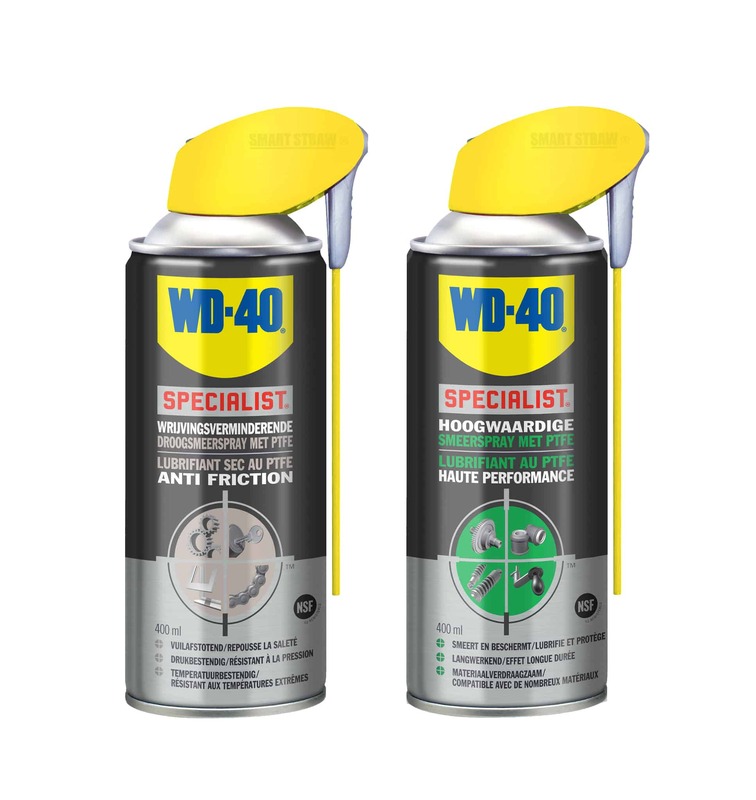 I wouldn't recommend ordinary WD40 as a lube, it will flush out any other lube, it's more a cleaner. By all means use it to flush out grime, but use another lube after the ordinary WD40 dries out. Sorry, I've only just located my stock of bearings a couple of weeks ago, I intend to make my own supports. Although I've run some stock heng long tanks over the years, I haven't yet fitted these supports. 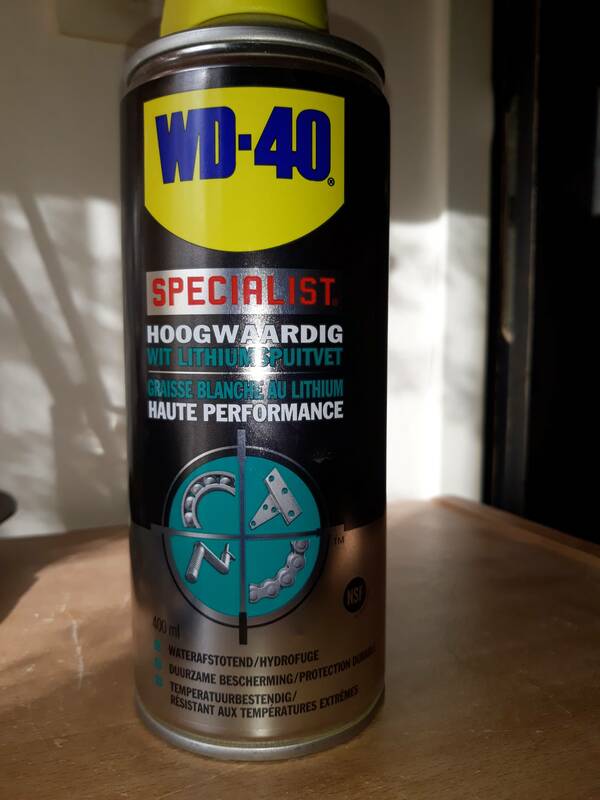 Son of a gun-ner wrote: I wouldn't recommend ordinary WD40 as a lube, it will flush out any other lube, it's more a cleaner. By all means use it to flush out grime, but use another lube after the ordinary WD40 dries out. (WD-40 Specialist. Anti Friction DRY PTFE Lubricant) . They prevent excess stress on the gearbox mountings and stabilise the gearbox output shafts which reduces the chance of Tracks being "Thrown". Whereas the Nylon Heng Long Gearboxes are very good value. Edit- can you tell me if it is a bit easy to mount the axle support bearings? I read elsewhere on this forum that it can be problematic- at least with the Heng Long Leopard 2a6, but I cannot find that thread anymore. Mick (SOAG) is right when he says the basic WD40 works better as a solvent,or rust-beater, than as a lubricant. The dry PTFE WD40, and lithium-based offerings above, are indeed 'specialist' lubricants and should be fine. I've used lithium based ones, but now prefer PTFE dry lubricant. Do check, however, that the lube. you opt for doesn't have solvent properties. Otherwise, it might well begin to eat into your ABS or Styrene bits. In any event, always shield/mask the plastic body parts off before spraying, just to be safe. That's my tip. Shaun (Jarndice), has a massive fund of knowledge, and experience to offer, and is absolutely right when he writes that support bearings can greatly reduce output shaft (and therefore gearbox) wear. However, success in finding and fitting them, varies from model to model. As an example, I fitted some to the drive casings of the Asiatam Panzer IV chassis. That involved reaming out the recess in the transmission casing, because the casing was a bad fit for the support bearing (Not andersherum or vice versa...). That was a total pain. Fitting them to a Tiger is quite a lot easier, and also to the Kingtiger.